The benefits of Decatur living WITHOUT THE TAXES! Rare 4BD 2/BA beautifully renovated historic brick bungalow on the best street in Midway/Winnona Park on a level sunny half acre lot! Open, light-filled floor plan w/huge living rm, formal dining, big kitchen w/breakfst bar opens to Sunrm w/views of private backyard. 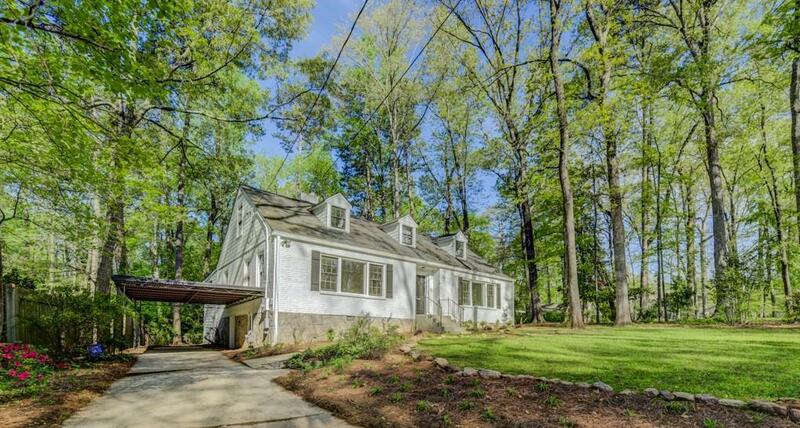 Original hardwoods, high ceilings, amazing screened porch, new paint in/out, new roof, new HVAC & H2O htr. Updated baths, carport, huge laundry/utility rm, great bsmt & attic storage. Zone 1 of Museum School. Walk to the new 77 Acre Decatur Park & Lake. Wow!